'The Datacenter as a Computer: Designing Warehouse-Scale Machines' — If getting a very thorough tour of how Google structures its datacenters for its collossal workloads sounds interesting to you, you’ll love this. It’s fascinating reading and packed with diagrams and photos. PDF here. Five Lessons Learned From Writing Over 300,000 Lines of Infrastructure Code — Bills itself as a “concise masterclass on how to write infrastructure code”. 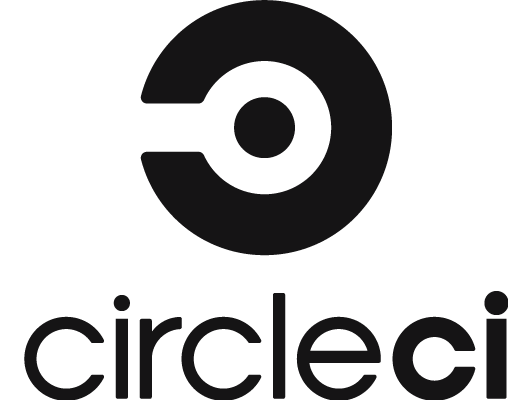 Expanding the CircleCI Ecosystem: Orbs and the Technology Partner Program — CircleCI just announced its first-ever Technology Partner Program. Our platform is now open to partners to contribute Orbs - first-in-industry configuration packages for CI. WebSockets: A Conceptual Deep-Dive — A technical look at the world of WebSockets, the browser technology that can provide a fast, full-duplex persistent connection between a server and client. AWS Introduces EC2 Instances Powered By Its Own 'Graviton' ARM Processors — AWS continues its relentless release of new EC2 instance types, this time powered by ARM-based CPUs of its own design. If this intrigues you, one of AWS’s VPs spoke about Amazon’s ‘custom silicon journey’ earlier this year. Herding the DNS Camel — Bert Hubert, the founder of PowerDNS and author of RFC 5452 (Measures for Making DNS More Resilient against Forged Answers), shares his views on forces influencing DNS protocol development. DevOps Engineer at Clue (Permanent) — Clue is at a pivotal and exciting point in our journey. With 10 million MAUs globally and fast-paced growth, we're building our platform, monetization, and team to support our continued success. How to Build a Serverless Report Server with Azure Functions and SendGrid — Severless.. server? Nonetheless, this is a fun walk through what’s involved in using Azure Functions’ timer triggers to fire up a process that builds and emails a report. What's in a Docker Image? — Not only does it answer the question but shows how to dig around. Transferring Your Linux Images to DigitalOcean with Custom Images — Create and compress Linux and Unix-like virtual disk images and launch them on DigitalOcean Droplets. Progressive Service Architecture at Auth0 — Learn how to create a mature service architecture for scalability and high availability by building its topology progressively. How GitLab Spent Two Weeks Hunting An NFS Bug in the Linux Kernel — An in-depth recap of debugging a GitLab issue that culminated in a patch for the Linux kernel. Overload Control for Scaling WeChat Microservices — WeChat is a very popular China-based chat system and this paper gives a look behind the scenes as to how it works. Can SNMP (Still) Be Used to Detect DDoS Attacks? — SNMP is a protocol for collecting info about devices on IP networks, but SNMP polling is no longer a good way to detect DDoS attacks. Towards Usable Checksums: Automating the Integrity Verification of Web Downloads for the Masses — A look at an academic paper that addresses the problem of verifying the authenticity of downloads. Amazon CloudWatch Logs Insights: Interactive Log Analytics on AWS — In a move that’s likely to tread on a lot of other services’ toes, AWS is now providing a fully managed service for ‘cloud-scale’ log analysis. AWS Transfer for SFTP: A Fully Managed SFTP Service for Amazon S3 — At 30 cents an hour, you either better have a need for a $200 per month SFTP server or provision it as needed. AWS Unveils New C5n EC2 Instances with 100 Gbps Networking — If you have too much funding and too much data to shift, the solution is here. Elasticsearch 6.5.0 Released — The hugely popular search server and document database takes another step forward with a new ODBC driver for Windows, new query filters, improved audit logging, minimal snapshots (smaller snapshots that don’t include large generated indexes), and cross-cluster replication (paid customers only, alas). Generate Self-Signed SSL Certificates for Local Development on a Mac — A bash script for generating trusted self-signed SSL certs for local development.